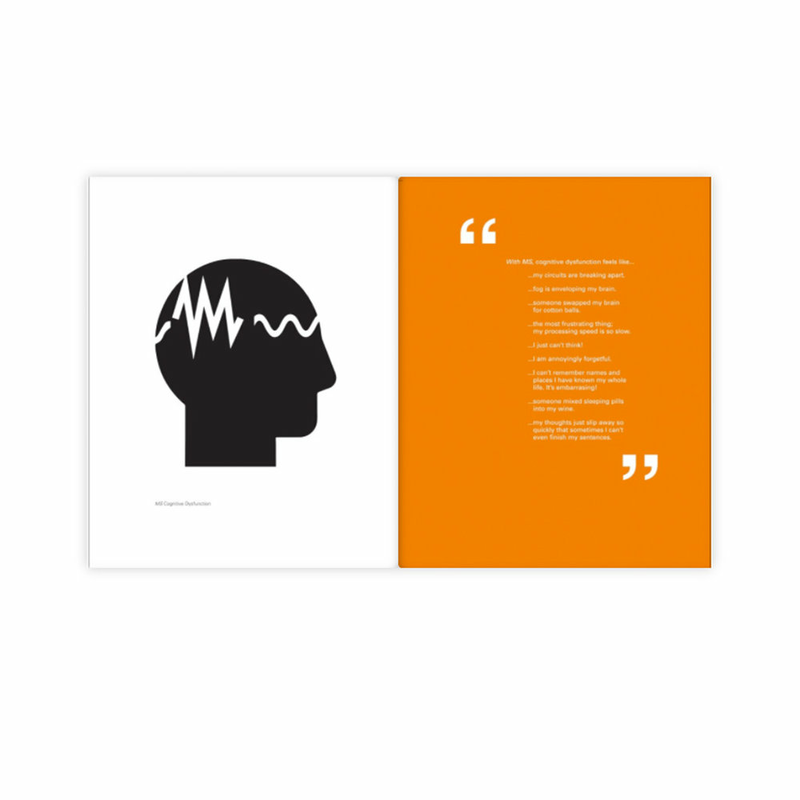 The #MSvisible book, juxtaposes the icons I have designed with quotes of what it feels like to live with the symptoms of MS. I have come to understand that fatigue is when I haven't slept for two nights; but, in reality, "fatigue" for someone with MS may feel like their hands have been nailed to a table, their gas tank is empty, or even that their pinky weighs one-hundred pounds. The symptoms are far from what we (without having MS) can comprehend. However, through the #MSvisible book, I attempt to diminish the gap of misunderstanding. To preview or purchase a copy of the book, please click here.